With so many new and exciting artists at Contrado, our marketplace is steadily filling with incredible talent and desirable designs. It is so important to support independent and up and coming artists. With a wealth of talent going undiscovered on a daily basis, we made it our mission to create a platform where these artists can get seen. The Contrado Creatives showcase the best in diverse and eclectic art. Creating designs going above and beyond trends, using influences from all areas imaginable. No matter where your inspiration comes from, or what medium of art you practise, if you have an artistic voice then it needs to be heard. 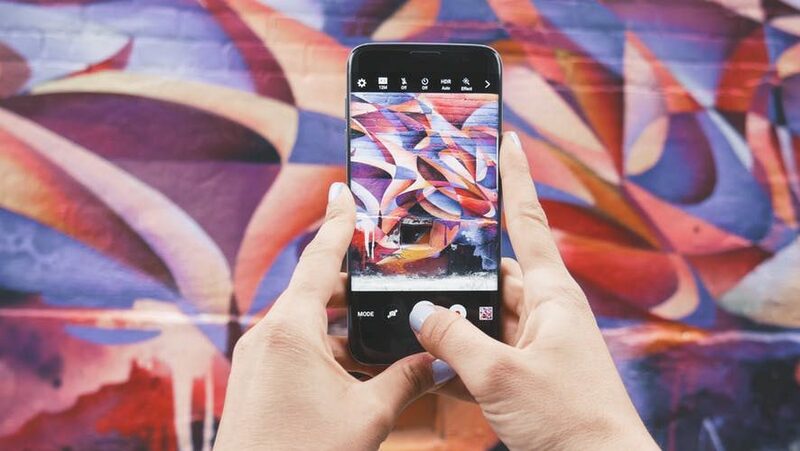 As new artists, finding a way to get your work to be seen can be a tireless task. Sometimes, with very little pay off. Getting your art seen is one thing, making a living from it is another. Our online marketplace for artists at Contrado was launched to help with this. 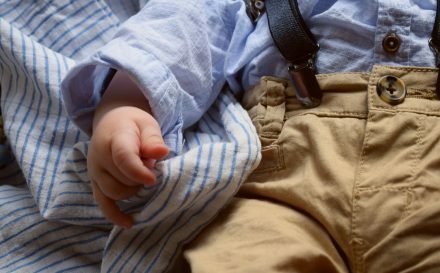 When your unique designs and creations are fused with quality, handmade products, a brand is created. A unique collection of homeware, accessories and clothing, which features your art. This is what artists at Contrado are able to do. And their art can suddenly reach a new audience, on a platform made just for them. Our series of meeting the artists at Contrado continues. Here, we introduce you to 5 more of our incredible creatives, learning a bit more about them, their art and their stores. Artist Ollie Terry learnt to push forward with his artwork from his days studying Illustration at the Cambridge School of Art. Through his studies, he was able to explore various styles, settling on creating a strong visual message through relief painting. Ollie’s style is bold and graphic. 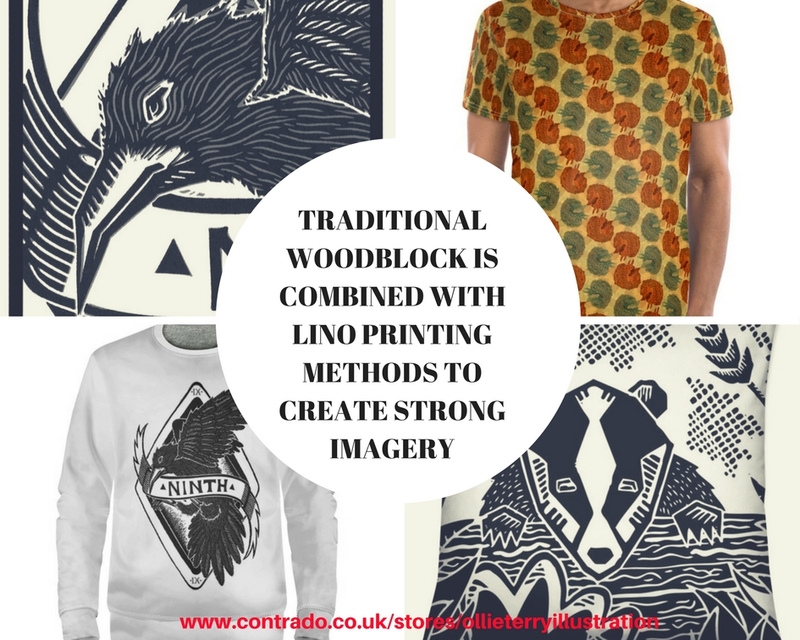 Favouring the strengths of lino and woodblock printing to define his message. Finding inspiration from the Native American legend of “How Coyote Stole Fire,” Ollie created a narrative series of prints, which cemented his style. Finding inspiration from myths, wildlife, legends and folklore, these prints are full of mystery, wonder and strength. 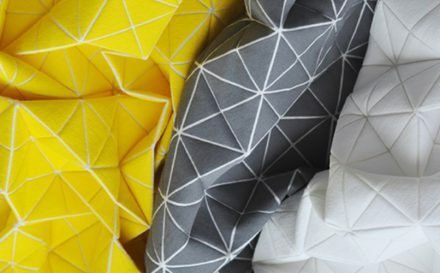 These powerful prints are made all the more prominent thanks to the distinct colour palettes used. 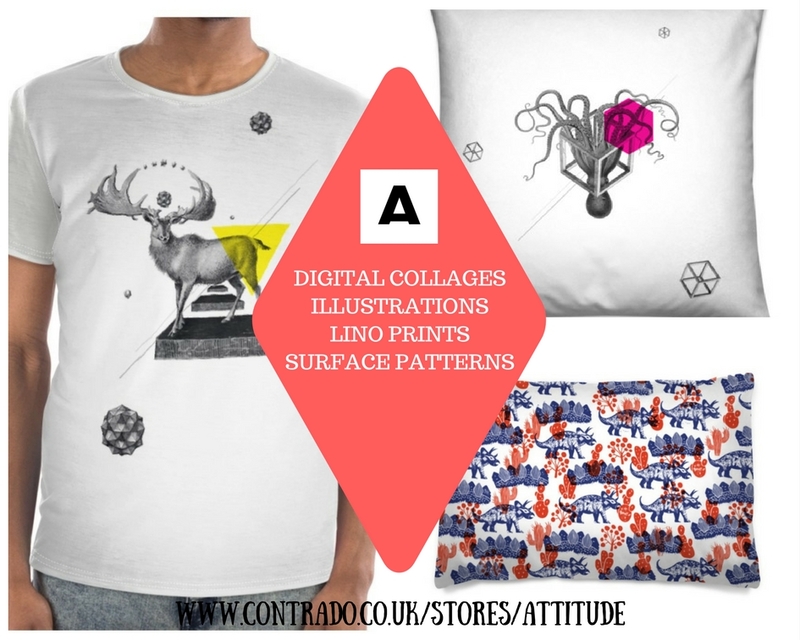 The Ollie Terry Illustration store at Contrado combines unique wearables, eye-catching accessories and eclectic homeware. Creating calm environments and dreamy aesthetics is something that comes naturally with the designs of Carla James. Specialising in textile design and fabric prints at university, Carla was able to work on her style of printed and hand drawn designs. Over time, her niche started to develop. Using bright colours is a delicate and romantic way. Popping florals are given almost a dream like, ethereal quality, making them instantly captivating. 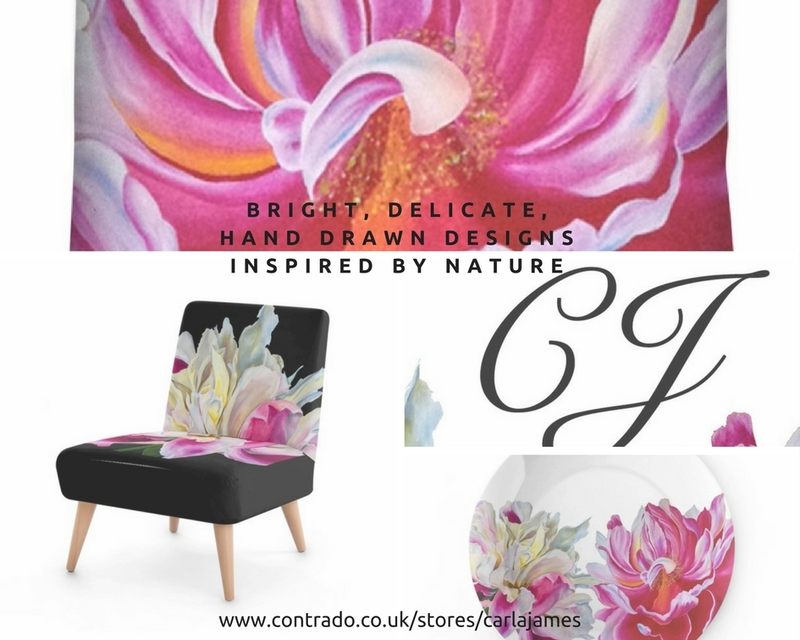 Influenced by nature, the English countryside and tropical flora and fauna, Carla’s designs have a way of making you feel bright and energetic. All of Carla’s designs are originally hand drawn or painted in watercolour or acrylic. These are then digitally edited for print, normally for a specific product. The products in Carla’s Contrado store make wonderful statement pieces, which instantly draw the eye and create a talking point. Ideal for filling your home with! German born designer Monika Strigel is a self taught artist. Her designs have gained her recognition and collections at Anthropologie, Urban Outfitters, Bloomingdales and more, and we are delighted that she is one of the newest artists at Contrado. 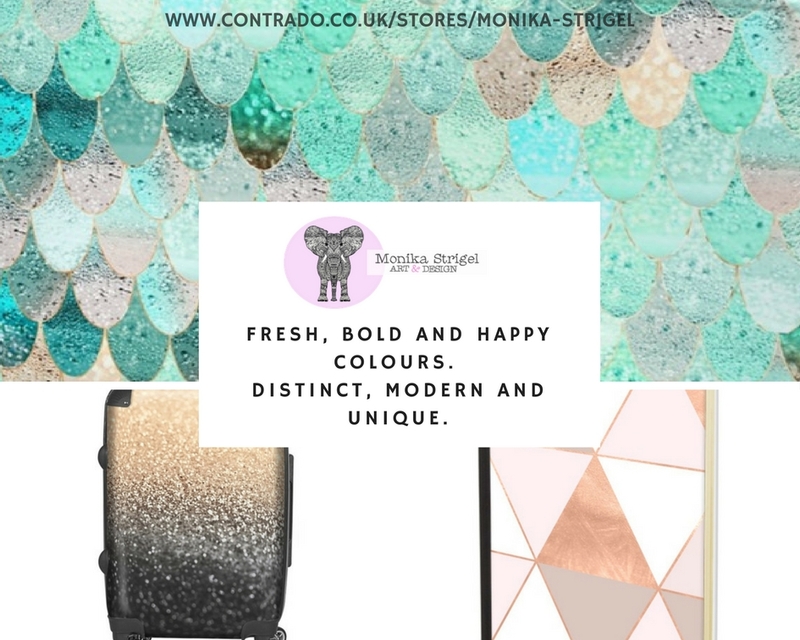 Monika’s style is distinct and instantly recognisable, thanks to the bold and sophisticated colour palette, the contemporary patterns and popping illustrations. Themes range from patterns influenced by nature, using glittering and reflective materials, to emerging trends in fashion and interiors. Creating collections mainly aimed at young women and even teenage girls, Monika’s designs always have a fresh and exciting vibe. The designs always start with an idea, which is turned into a painting or sometimes a photo, and then edited in Photoshop. Pretty, elegant and desirable – this collection is bound to make a lasting impression. Husband and wife duo Dom and Jenya Righini-Brand are the creative forces behind Attitude Creative. With an experienced and eclectic background in art and design, which took them from the University of Hertfordshire, to Moscow, to Germany and then back to the UK in 2015. 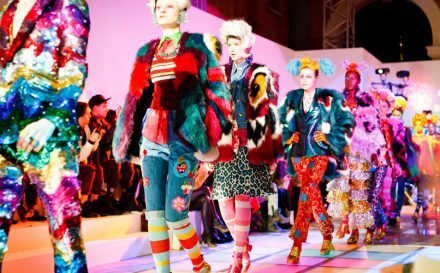 It is here that they discovered their niche, and the distinct style of Attitude Creative started to emerge. Dedicating their time to experiments with different media and image making techniques, the pair push media to find new ways of working. Not only do they create intriguing art, but the couple also produce video tutorials about design and creative subjects. The Attitude Creative collection at Contrado carries a mix of designs. From beautiful, handmade lino cut dinosaur patterns on bedding, to the powerful Archetypes series, this is a range which can appeal to every taste and every aesthetic. Creative, fun and colourful; 3 words which sum up Liz Smith’s Stamptout store to perfection. Stamptout was created after artist Liz found her artistic niche; building up a stock of hand drawn items to sell at craft fairs. 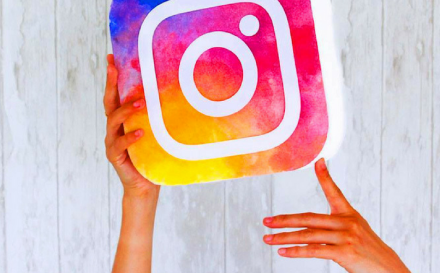 After sharing them on social media, her brand grew. With an adorably cute and quirky slant on the world, Liz’s designs combine fun characters, vibrant and colourful palettes, fun doodles to more recently, florals and patterns. A lover of all things drawing and craft, Liz creates a colourful and whimsical world, which shows us to not take life too seriously. 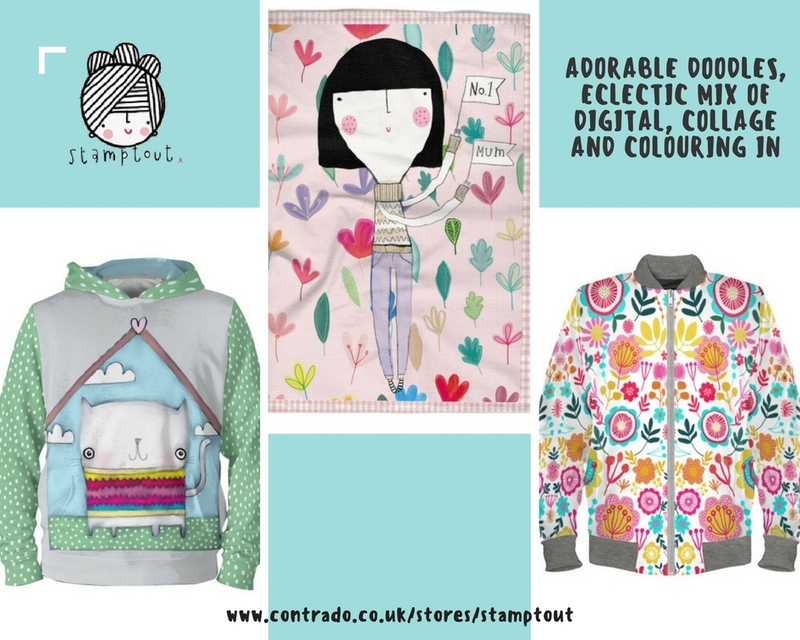 Stamptout designs and illustrations are an eclectic mix of digital, collage and simple colouring in – done very well! Her prints look stunning in her Contrado store, ranging on products from bomber jackets and hoodies, to umbrellas and wrapping paper. 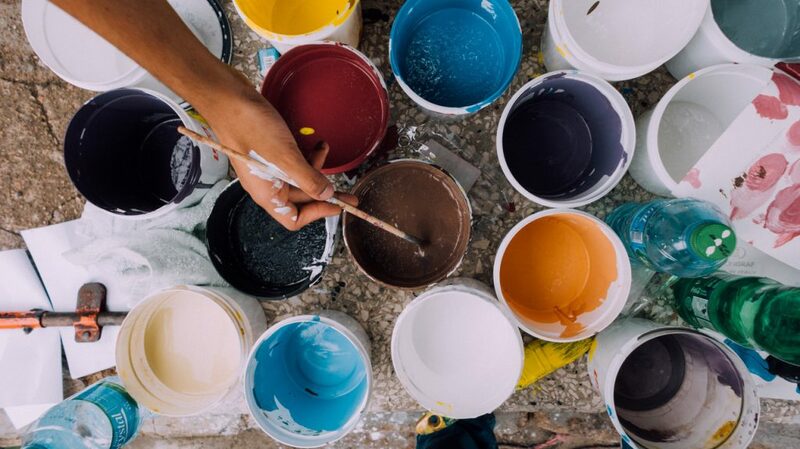 If you want to find out more about the artists at Contrado, or maybe even enquire into becoming one yourself, click the link below. You can view the current artists and find out how to apply to become a Comtrado Creative. Keep an eye on the blog to discover even more fresh and upcoming artistic talent!